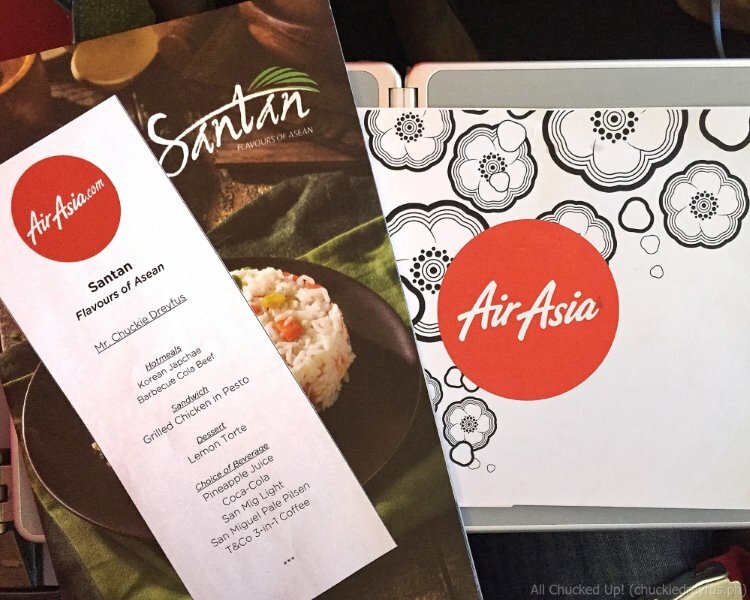 Santan: Philippines AirAsia's new in-flight meals - All Chucked Up! An all-time Filipino fave, sisig is usually made of pork. 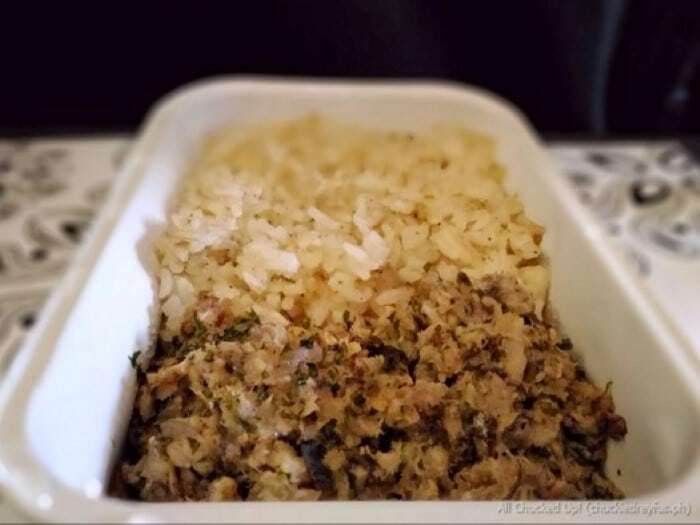 This particular version which is prepared for Philippines AirAsia’s Santan menu is made with Bangus (milkfish) instead – and it tastes mighty good! These delicious chicken strips use a Texan barbecue marinade which is great for those who want a little kick and a some zing on the food. This Santan offering goes perfectly well with the roasted potatoes that come with it. I’m always game for some beef and a little spice… and this Santan dish sure didn’t disappoint. It’s got thinly sliced beef strips marinated in sesame oil and light soy sauce. Deliciously nutty and flavorful! Not to keen on rice or potatoes? 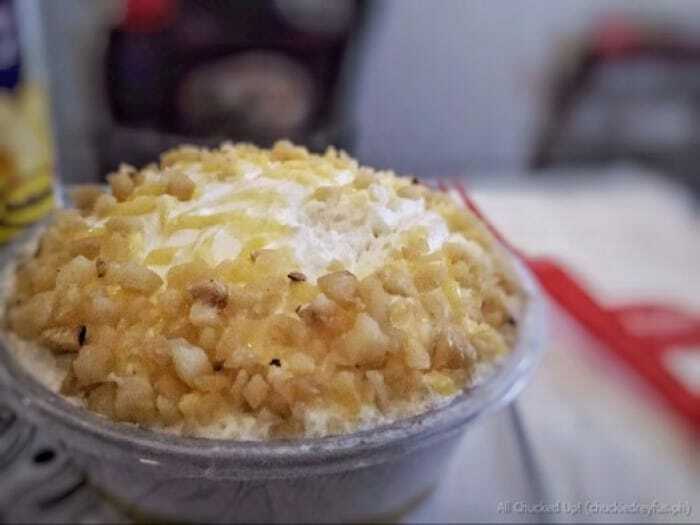 This Santan specialty might be just right up your alley. 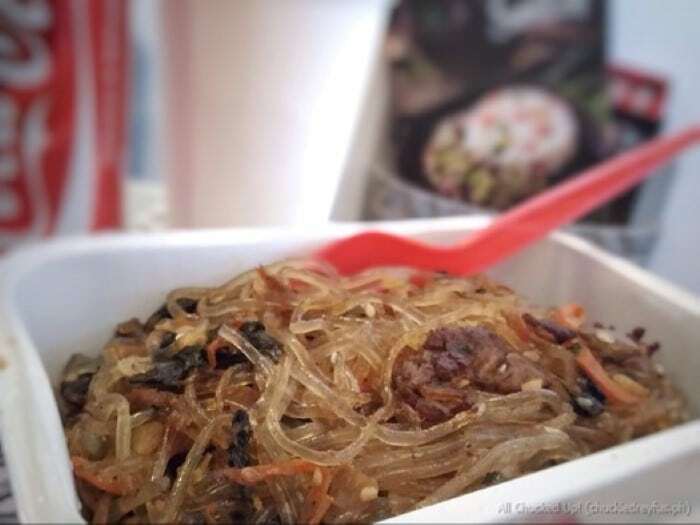 Korean Japchae is a flavorful stir fried dish with vermicelli noodles, tasty beef and mushroom, with a drizzle of sesame oil. Yum! This Santan offering is deliciously unique and truly a must-try. 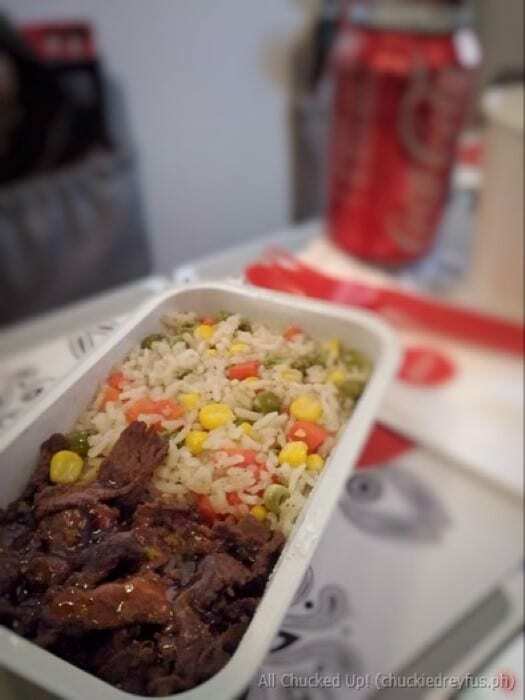 It boasts of cola-infused barbecue beef partnered with tomato rice and was an instant hit during our tasting session. I loved its sweet, tangy, salty combination. Vegetarians will be glad to know that they aren’t left out. 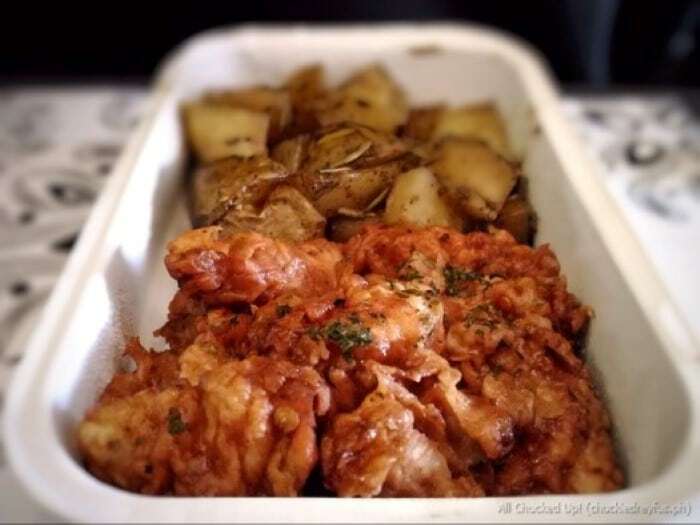 This Santan dish is most definitely something you will enjoy during your flight. Have your fill of savory chickpeas cooked in savory curry sauce and partnered with mushroom rice. Looking for something light? Philippines AirAsia’s Santan menu also offers great sandwiches. 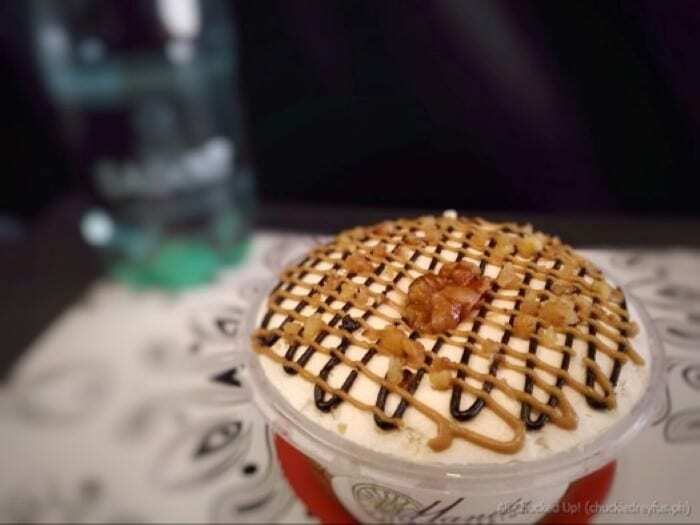 “Always leave room for dessert.”, is what most people say – especially when something deliciously good is on the menu. Philippines AirAsia’s Santan menu offers a good selection of sweets to end a very satisfying meal. They’ve got choices such as Lemon Torte (Php 120.00) and Banoffee Cake (Php 120.00) which are both delectable and delightful. You can choose from a wide selection of drinks on the Santan menu. From wines, beer and sodas, to juices, coffee and water, there’s most definitely something for everyone. 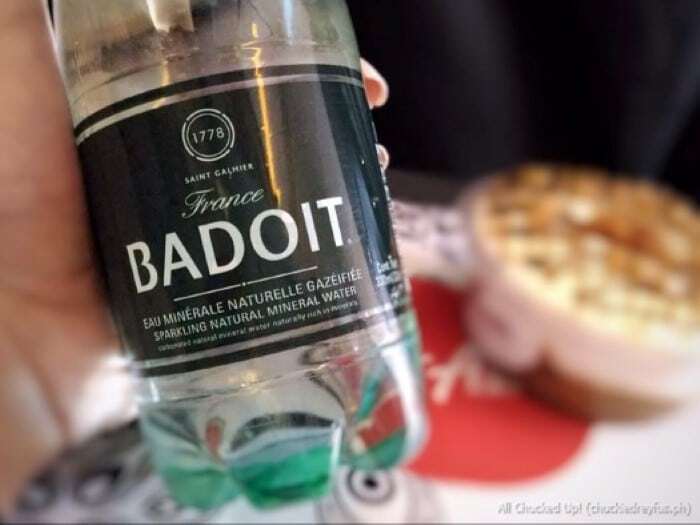 Badoit Sparkling Water (Php 100.00), Mineral Water (Php 50.00), Soda (Php 90.00), Fruit Juices (Php 95.00), San Mig Light or Pale Pilsen in can (Php 120.00), Yellow Tail Merlot Red Wine or Chardonnay White Wine (Php 280.00), Pocari Sweat (Php 90.00) or Coffee. *Pre-book and save up to Php60 and get served first onboard. Each pre-booked meal comes with a 100ml complimentary drinking water. 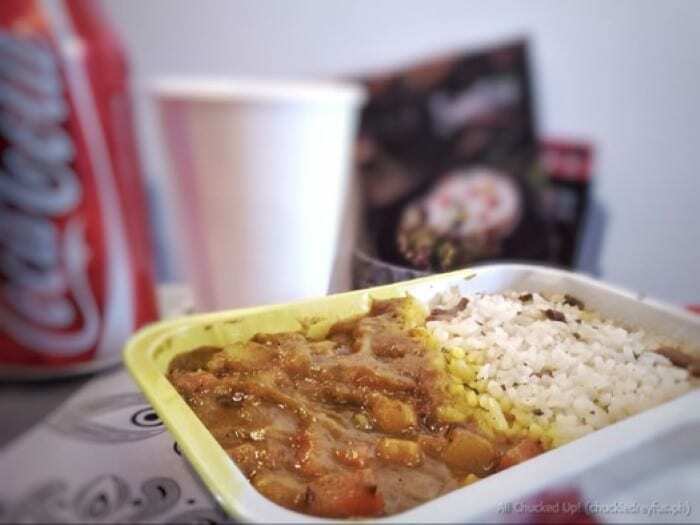 It is worth noting that AirAsia guests are encouraged to pre-book their meals to save up to 20% as compared to purchasing their Philippines AirAsia in-flight meals on board. 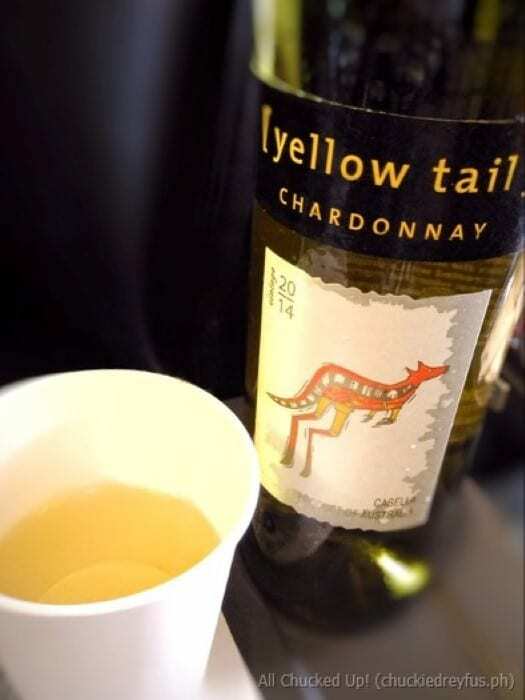 This also guarantees that your preferred meals are available during the flight. Meanwhile, guests who have already booked flights without meals, can easily add them in via the ‘Manage My Booking’ option after logging in to www.airasia.com. 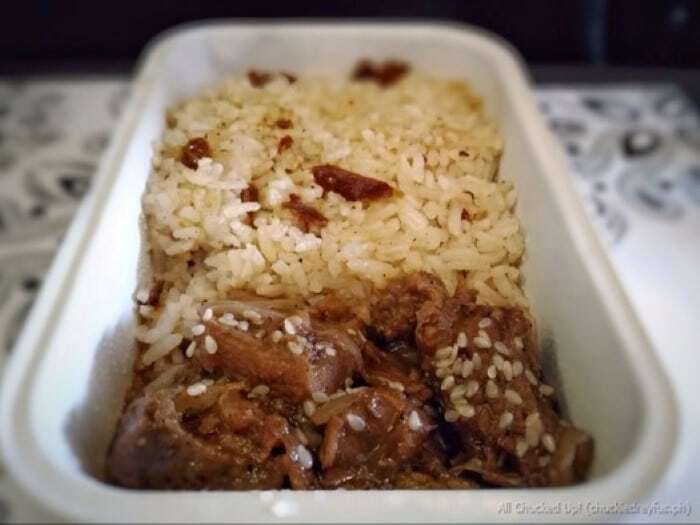 Judging from the taste of Philippines AirAsia’s new in-flight meals on their Santan menu, it seems that there’s nothing but clear skies ahead. 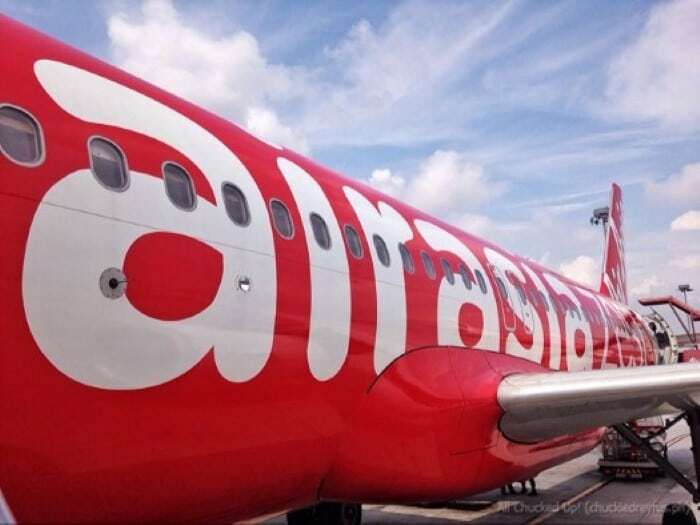 So, go ahead and book a flight to any of AirAsia’s really affordable destinations. 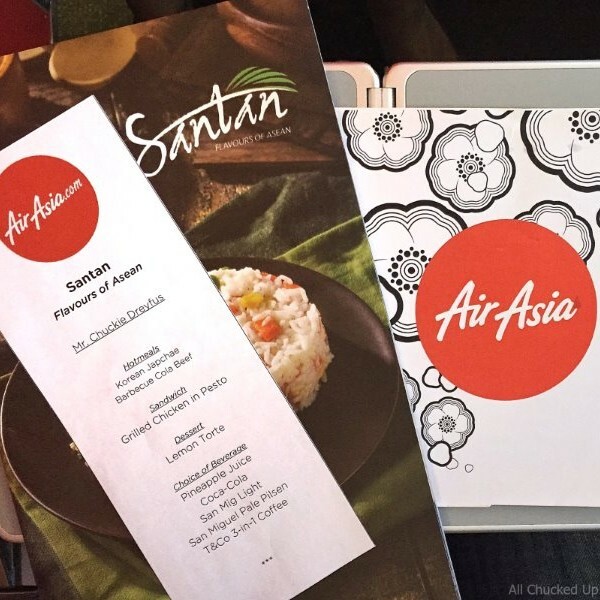 It’s a good time as any to try out “Santan”, Philippines AirAsia’s new in-flight meals and paint the skies red! 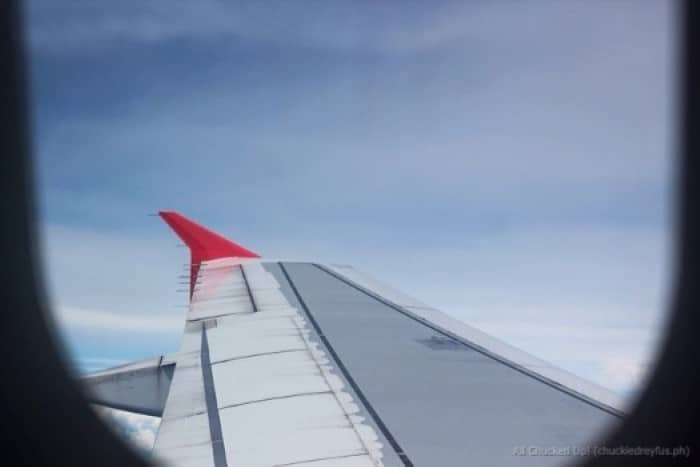 Apart from Philippines AirAsia in-flight meals, stay updated with their latest news and promotions via AirAsia’s website and their official accounts on Twitter, Instagram and Facebook.